This year, I am working on compiling a collection of views and anecdotes from audience and players alike – past and present – about what the Players mean to them, what makes the group and its work special, which church locations or aspects of the productions individuals have particularly liked, and any memorable incidents that people would like to record. My hope is that in the coming year this will build into an informal history of the Players over the decades. 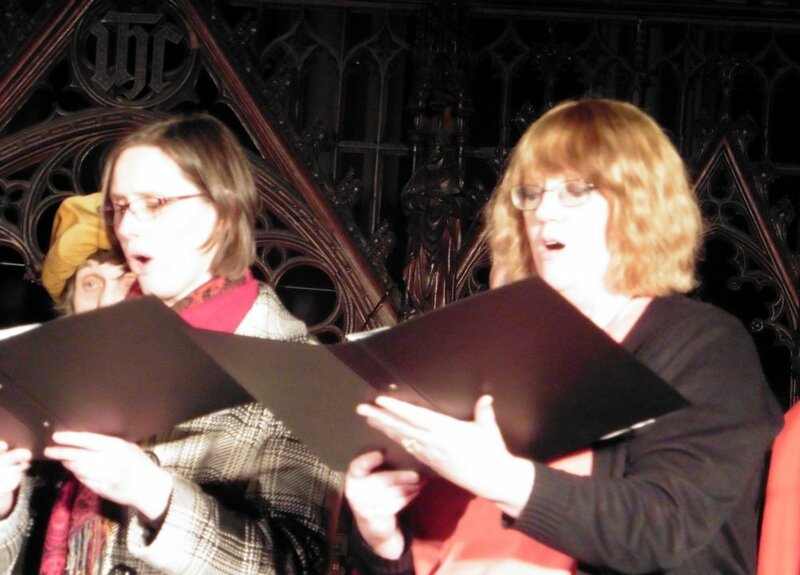 The Players of St Peter was founded in 1946 at the church of St Peter-upon-Cornhill in the City of London. Since those years in the City we have been based in churches in west and east London and this year are performing in north London. Through all that time, we have been fortunate in maintaining very faithful audiences who have followed our progress and supported our productions, some handing on that support to their children and even grandchildren. 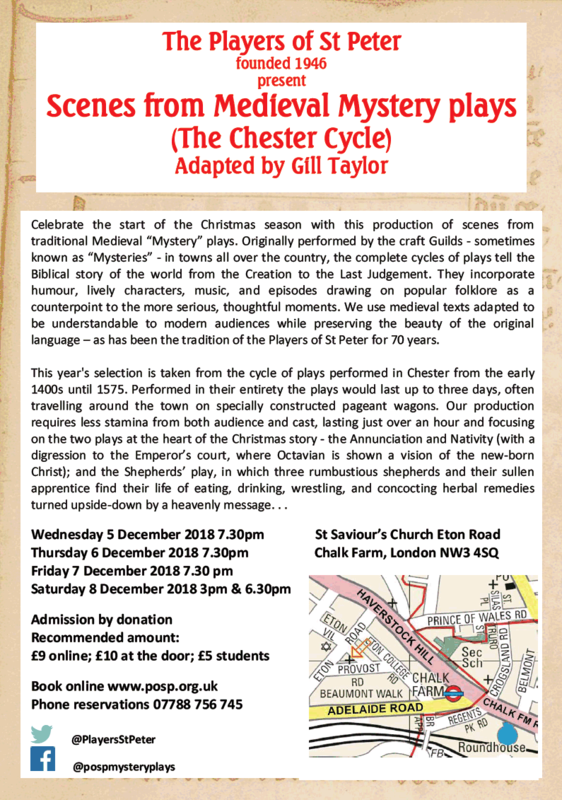 Many remark that for them our plays are the true start of Christmas, which is a lovely thought. During the 30 years since 1986, while I have been adapting and directing the plays, I have found it a great pleasure to work with so many talented people, to find the gems of truth, humour and language in the texts, and get to know many of our keen supporters and patrons. The Players and our traditional performances are indeed special in many ways. So, if you would like to hear more about this project – or to contribute some of your own thoughts or memories (however long or short) about the Players from your point of view – please contact me by email to players1946@gmail.com – it will be a pleasure to hear from you. Read the originals before you go! These scripts have been on the web since 1592 but we hope you will find our version more approachable! 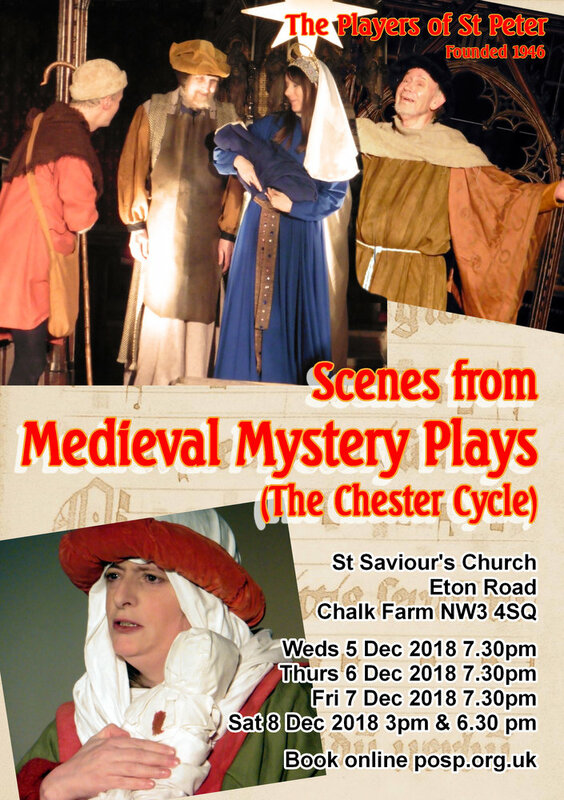 We are an amateur-drama group founded in 1946 and specialising in medieval drama, specifically the cycles of mystery plays based on stories from the Bible. These were performed annually by the trade guilds at the midsummer festival of Corpus Christi until they fell into disfavour, casualties of the Reformation some 500 years ago. Only four texts survive substantially intact, plus fragments from other cycles, and it is from those four – Wakefield, York, Chester and Corpus Christi itself – that we draw the bulk of our material, presenting a selection from each in turn, year by year. Recently we have added a fifth element to the pattern, dubbed The Director's Choice, in which the director is given licence to mix-and-match the plays, which gives us the opportunity to perform some of the rarer scenes.